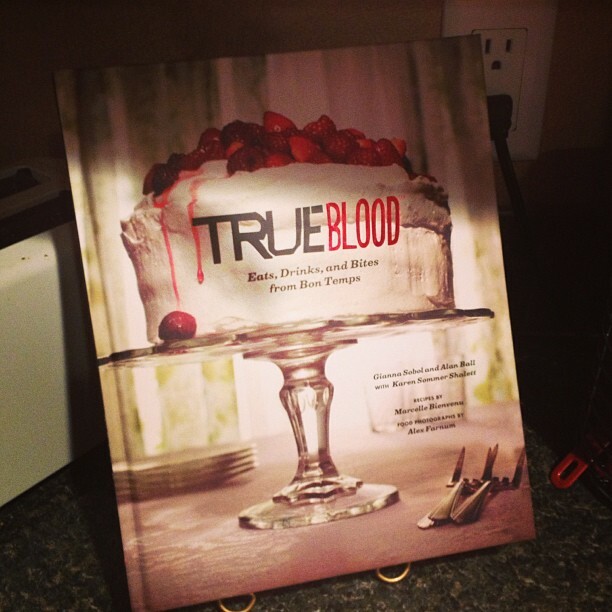 I confess – I’ve needed to blog for about 2 months now & I haven’t touched the thing. Such a failure on my part, especially when the last thing I posted was about how I was going to post more often. Talk about irony. Tomorrow starts a new year, so maybe among other things I’ll actually follow through & post a little more often than I have this year. I have had a wonderful holiday season & I hope you have also! 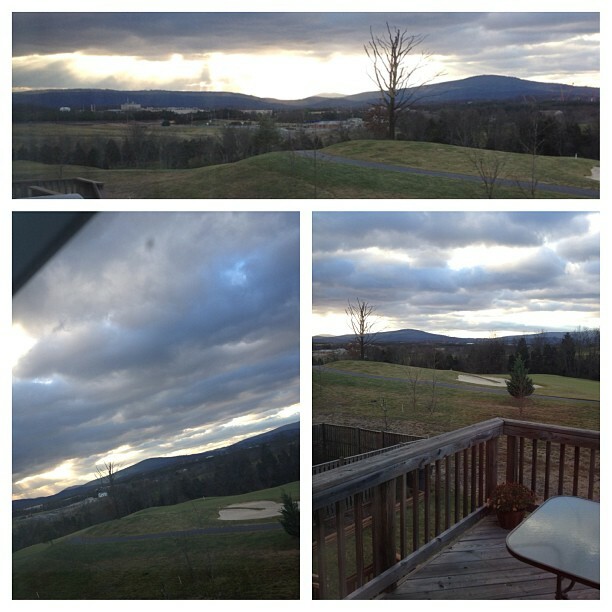 I thought I’d post a few pictures from my Thanksgiving & Christmas in the lovely state of Virginia…so, here we go! I was pretty bummed to have to leave VA after those 5 great days, but knowing I’d be back in less than a month made it a little easier. 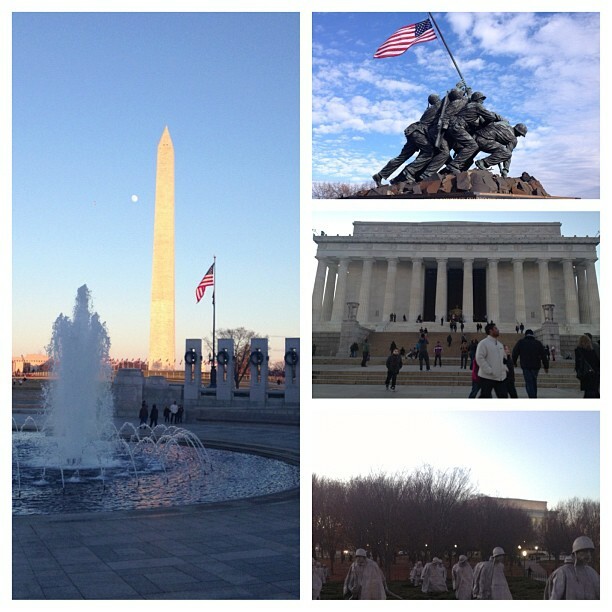 So here are just a couple moments from my Thanksgiving jaunt to VA! 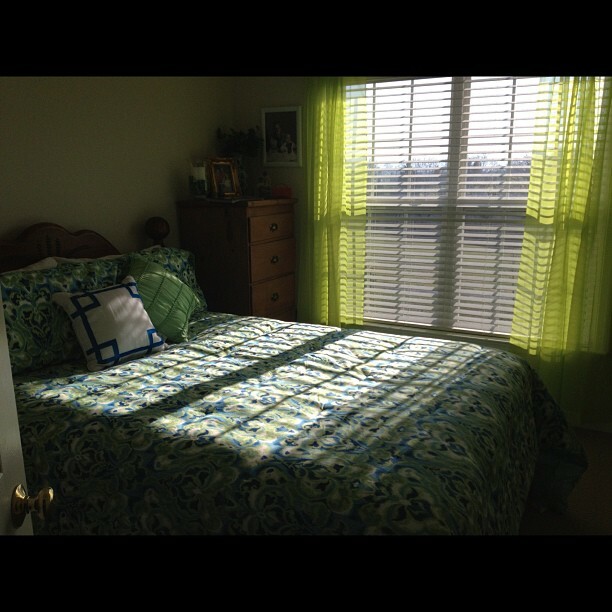 My lovely bedroom, my Mom did such an awesome job decorating it. 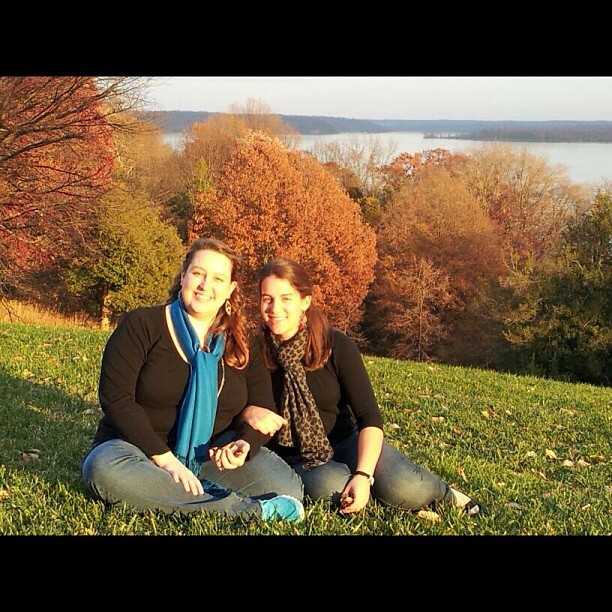 Lindsey & I on the back lawn of Mount Vernon – the Potomac in the background & DC just around the river bend. 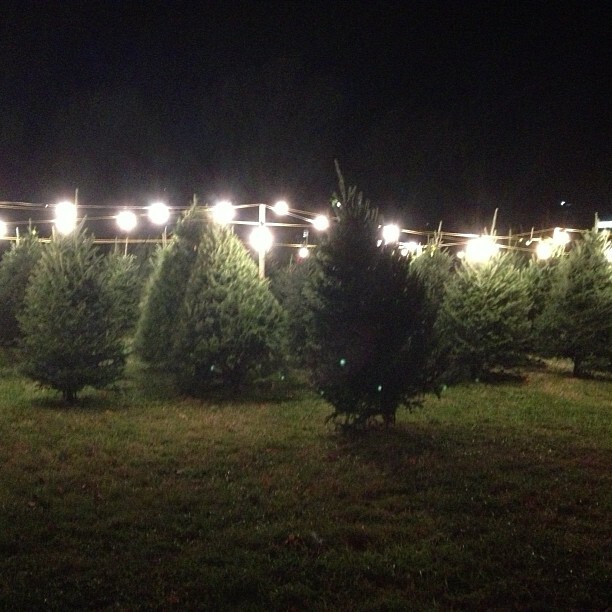 A “Charlie Brown” tree lot in Front Royal. I was in love. I came home for about three and a half weeks, which were filled with busy days at work & holiday merriment when the work day ended. I went to a cookie swap, where I loaded up up on enough sugar to fuel me through the weeks before Christmas. My friend Lisa came to visit & we searched for Christmas gifts in & around Meridian. I had a great time with the rest of the members of the church staff at the annual Christmas party; who knew that a game of Battle of the Sexes would get so heated with members of the church staff? We are a competitive bunch, no doubt. I took numerous pictures of my decorated house – it was the 2nd Christmas for me in my little home in Collinsville & even though I didn’t play host to anyone or have any parties, I still decorated it up just perfectly! 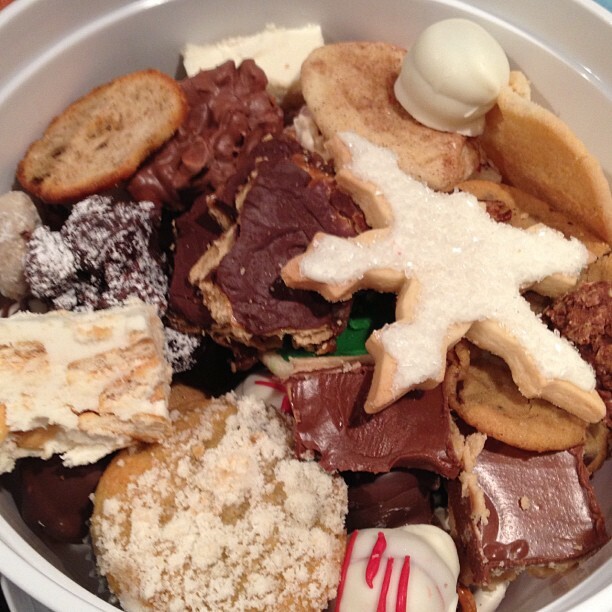 The haul from the annual cookie swap – can you say sugar rush? 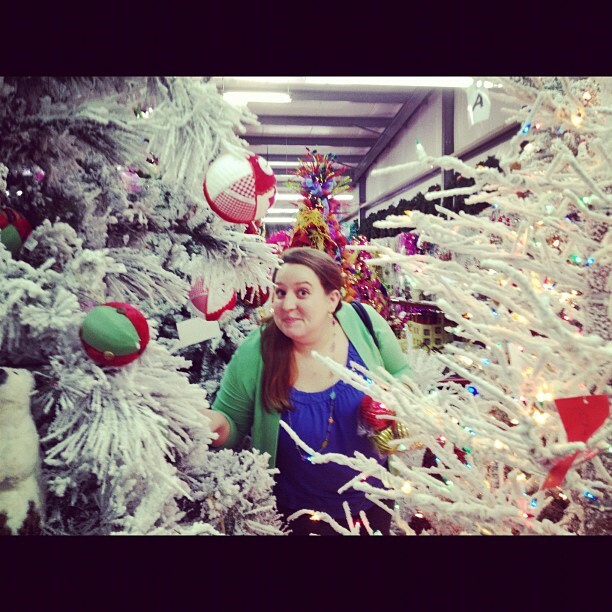 Searching for gifts & decor in the Winter Wonderland of Little Acre…ha-ha! 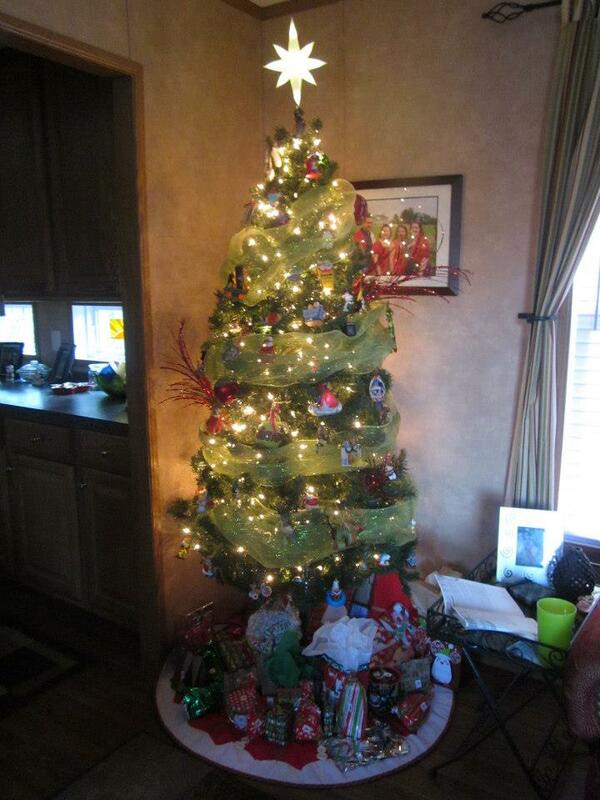 My Christmas tree – love it! 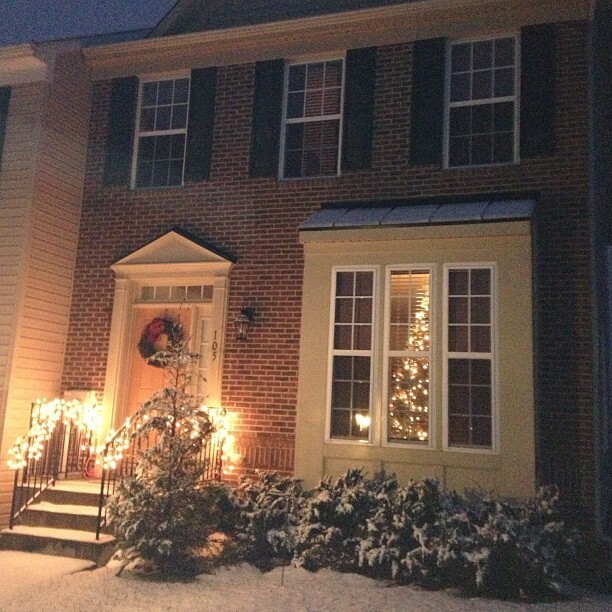 The warm glow of home…in the snow! 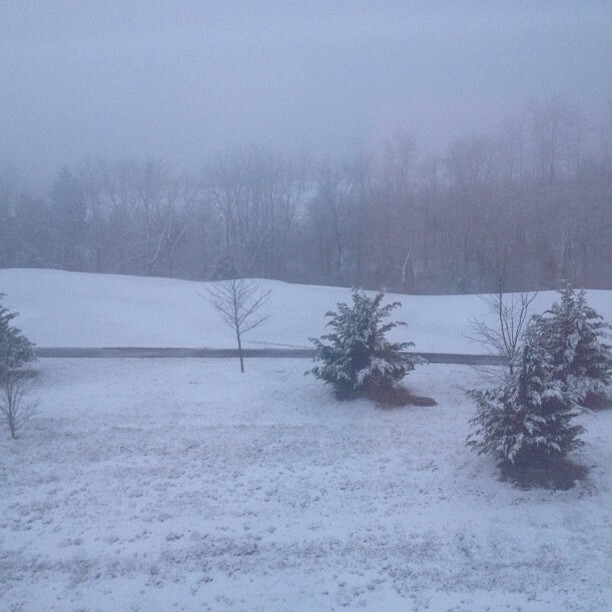 No longer dreaming of a White Christmas…it is a reality! The mountains on Saturday morning…before the snow arrived on Monday. 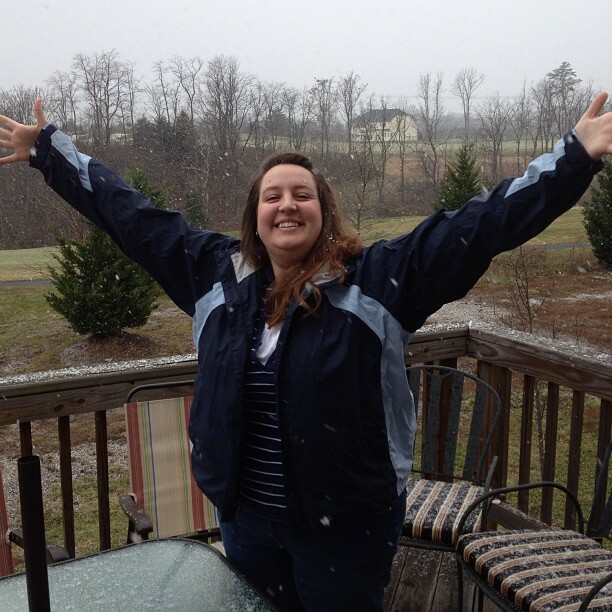 So excited to be standing in the middle of the beginning of the snowfall. One of my Christmas gifts – y’all better get ready for some good ol Cajun cooking pictures, I’ve got my eye on the red beans & rice recipe. ﻿So – there you have it. 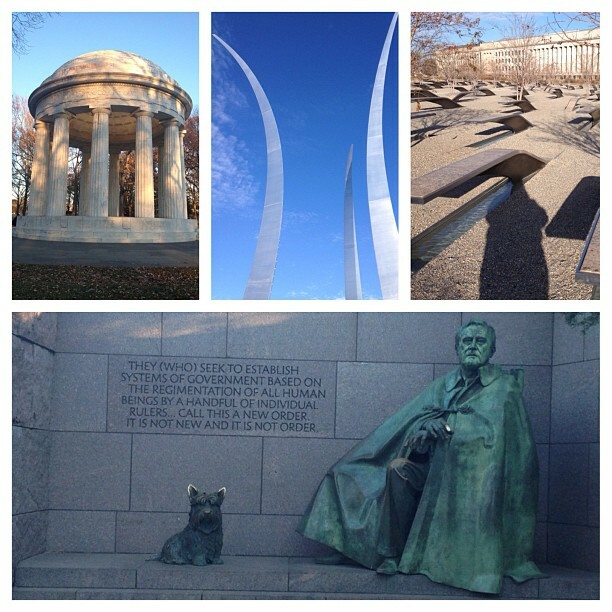 A short little recap of my time in Virginia this holiday season. 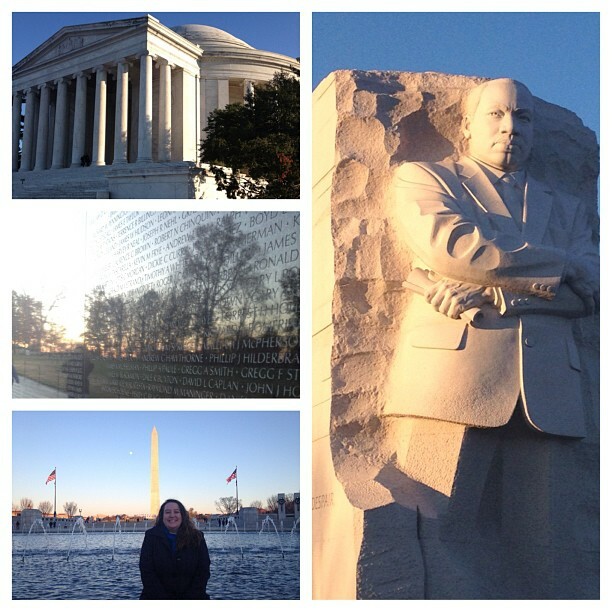 Obviously, I could have made this post pages in length because I was able to experience so much & make so many amazing memories in the few days that I was in VA. I can’t wait to see what 2013 has in store for me, I’ve already got a trip to Colorado Springs planned for February & a trip to California planned for late March, so the traveler in me is sated until then. I’ve made my resolution for this new year to change my life. 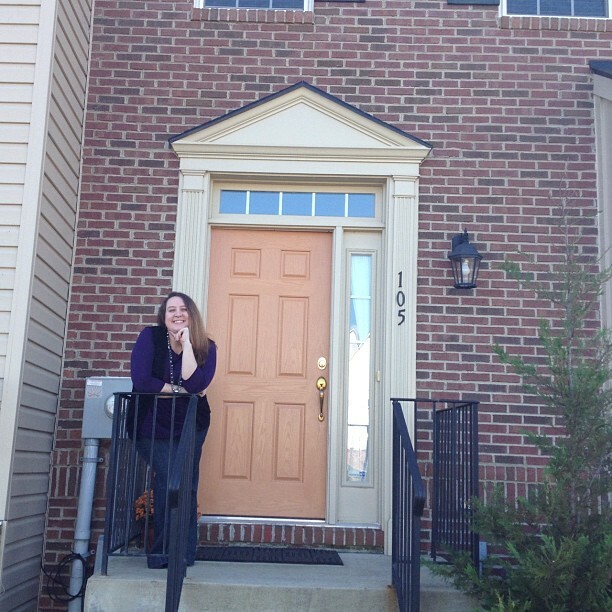 I’m not sure what kind of changes that will entail, but I’m ready for a change or two – and I’ll try to keep the blog updated as things unfold! Happy New Year & best wishes for 2013!